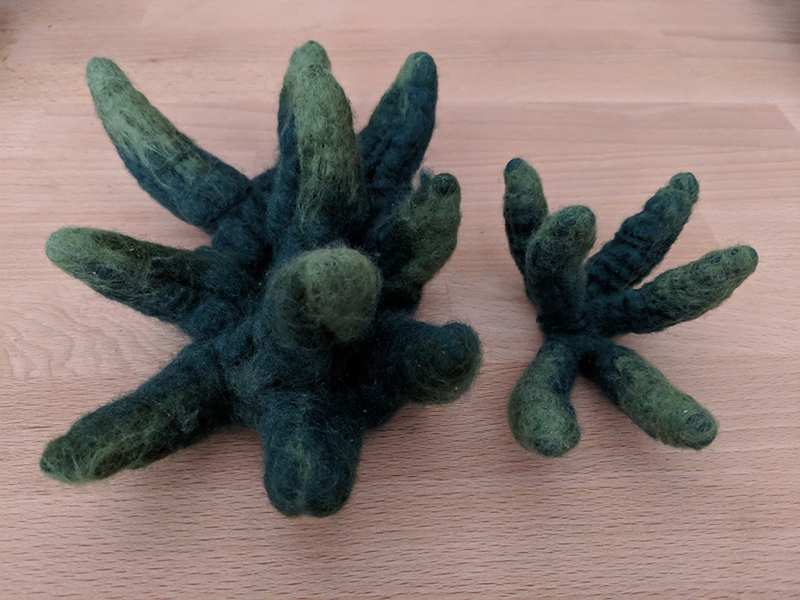 In my explorations of felt, I’ve been interested in creating seamless forms and shapes. I love the forms and shapes that Andrea Graham creates. I started working by creating small vessels. 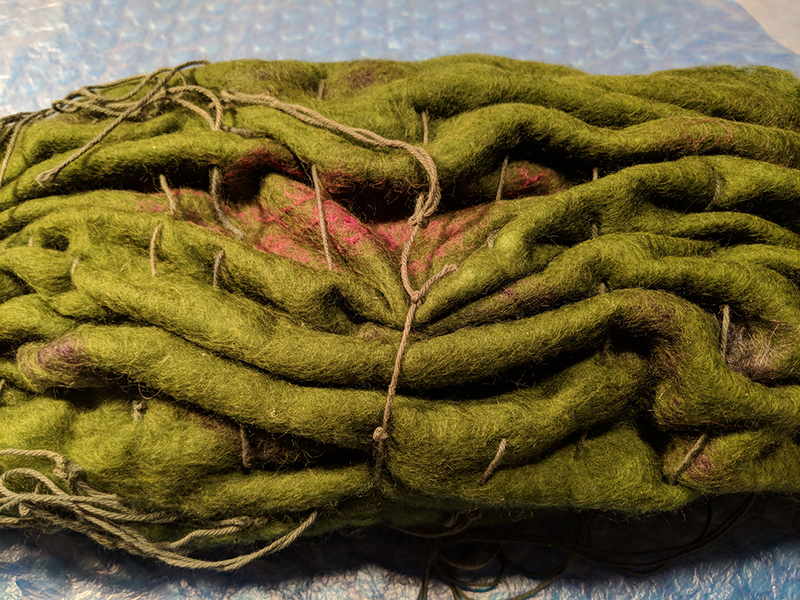 By wet felting with a resist, different forms and structures can be created. 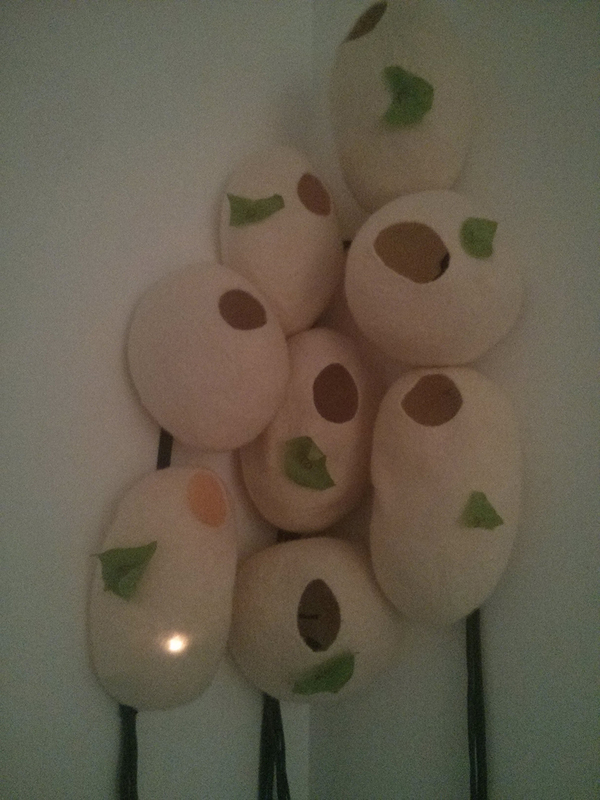 I created a bunch of pods…..
and used them in Aural Outpost. I imagine them to be nests or homes for the users of The Depository. I am curious to move beyond the pod like form into a more organic, abstract form and structures. I started researching different forms, textures, and structures. The web is great for visual reference information. Pinterest is a big help. I started various boards there for visual research. Feel free to look at my collections. 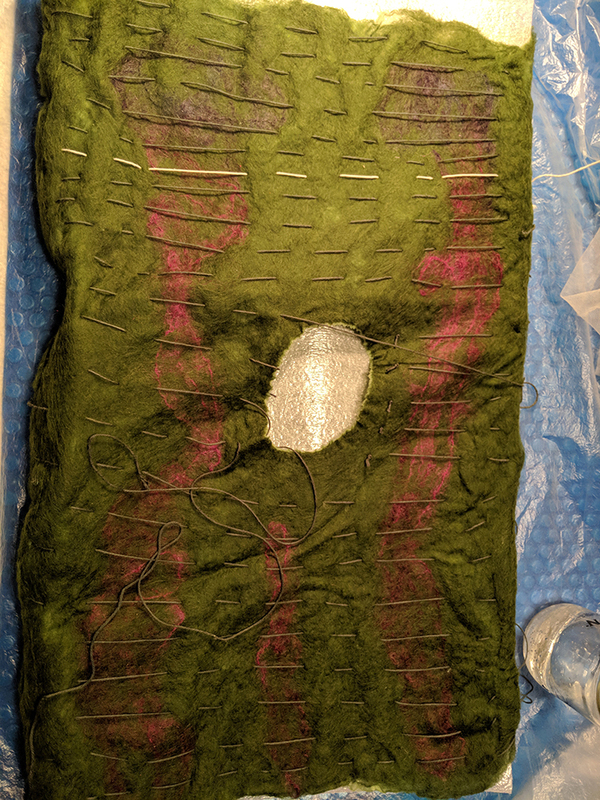 I set off to create some fiber surface experiments. The images in Quentin-Stall and Quentin’s book gave me some clear directives. 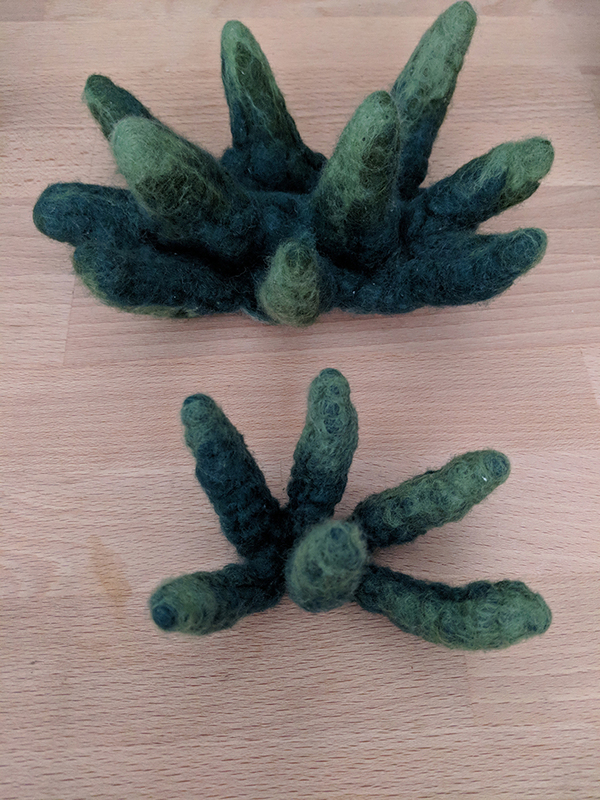 I prefelted some wool, then manipulated its surface by sewing in threads and pulling them tighter during the wet felting process. First, I tried a more straight-forward approach to create these stalks or fingers. 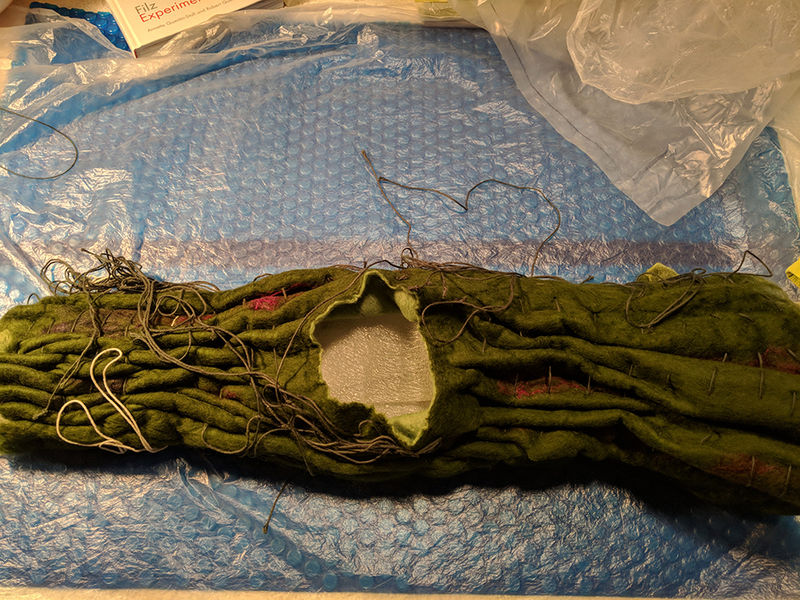 After prefelting the material, I sewed some cotton twine into various patterns. 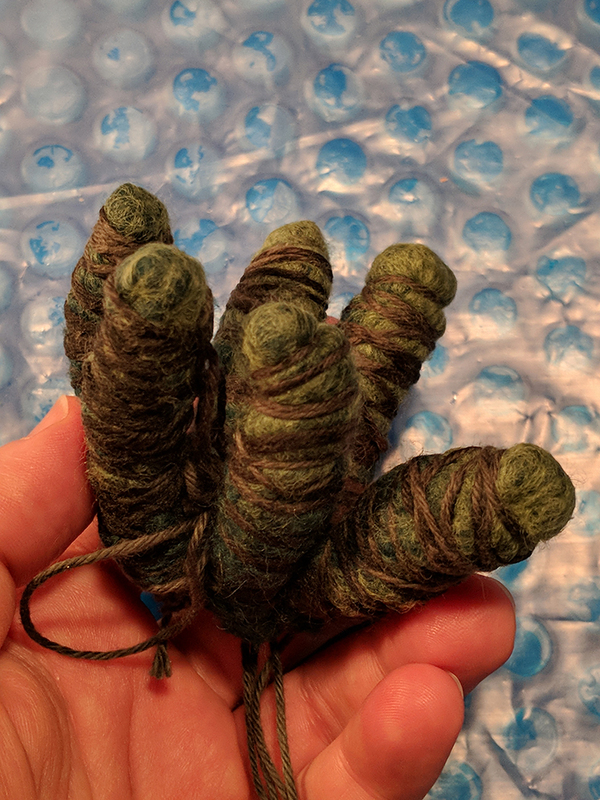 I pull this twine tighter as I wet felting it into shape. They came out quite interesting. I could see this being a nice surface texture on a larger form. 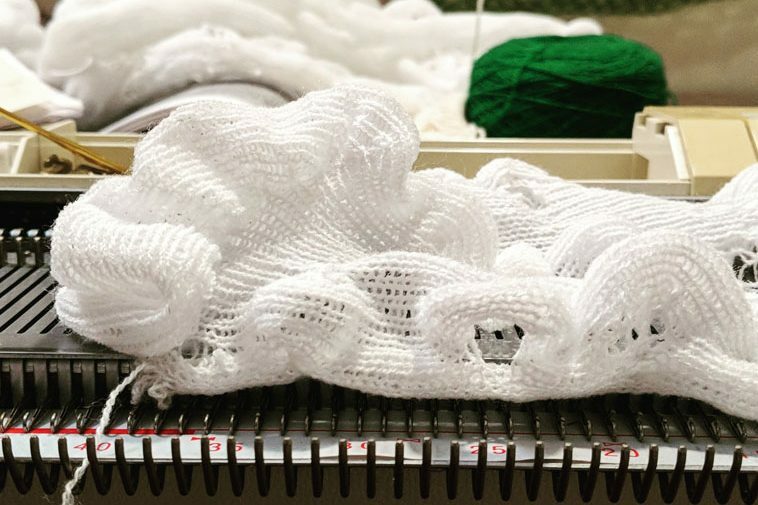 But making quite long independent fibers could be made more easily than by manipulating the surface design. 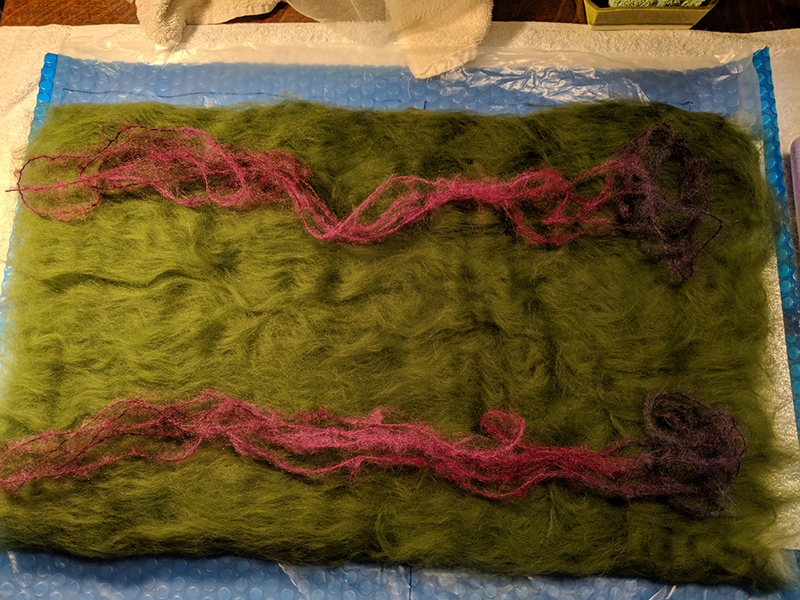 Knitting or large-scale wet felting seems to be an easier approach at this point. So, I went on to create a larger tube structure, with surface textures. Since I work with white all the time, I thought it’d be a nice break to work with a color. I have tons of green about in my studio, due to my love of plants and natural forms. 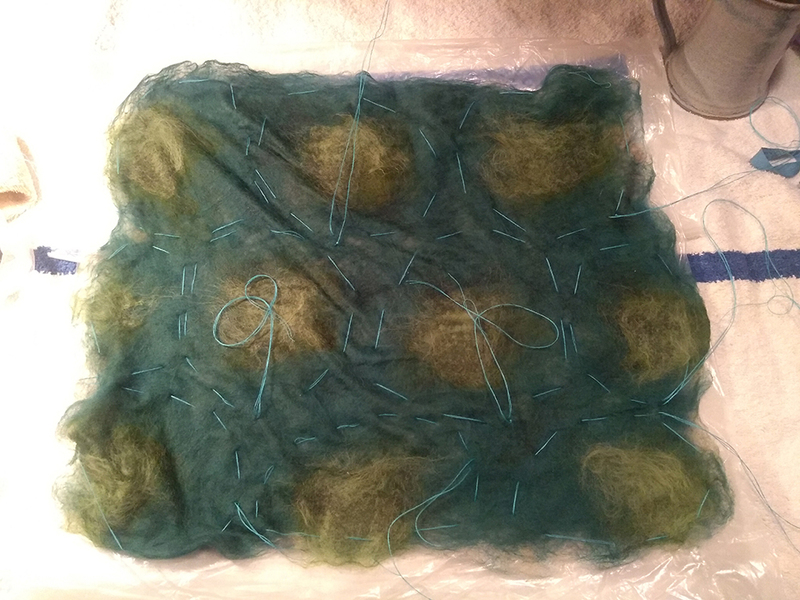 So I kept going with the green and laid out the fibers. 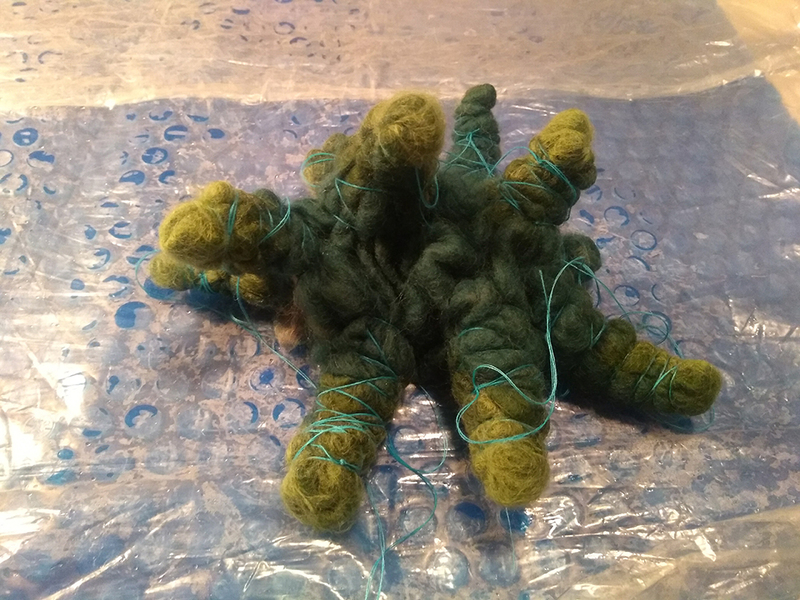 After prefelting it, I sewed the fiber with threads to later pull taut in the felting process. All in all, I like the direction this is going. It’s quite sturdy and I love the folds or wrinkles in the surface texture. I see some interesting possibilities for these for additional materials. Next up, is a larger tube with wrinkles. Much much larger. 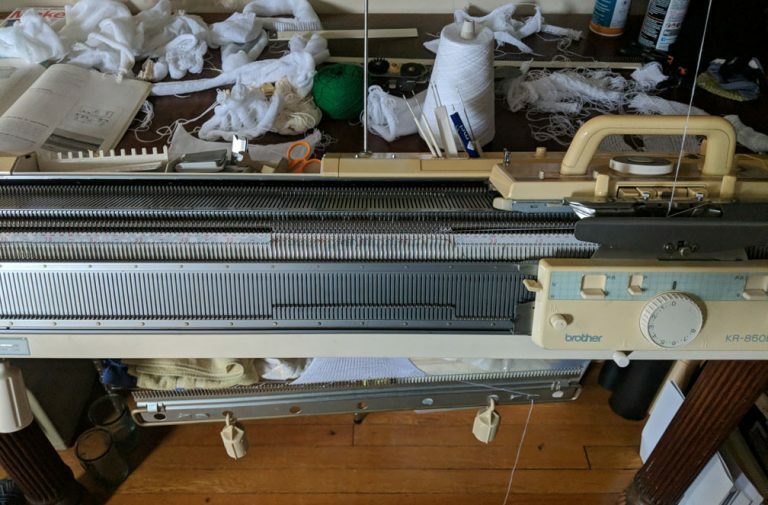 Like 6 feet long (finished). 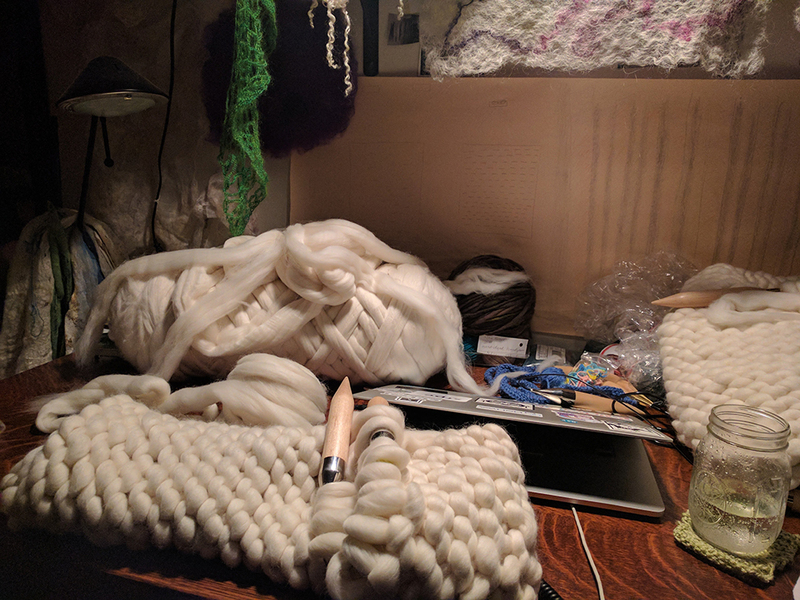 It’s going to be a long process just of laying out the fibers considering my work space. But, here goes…..